Our Saxony-style wheel combines an enduring sense of history with state-of-the-art woodworking techniques. Designed in conjunction with Rick and Marge Reeves, the Schacht-Reeves wheel carries on the tradition of their famous spinning wheels. 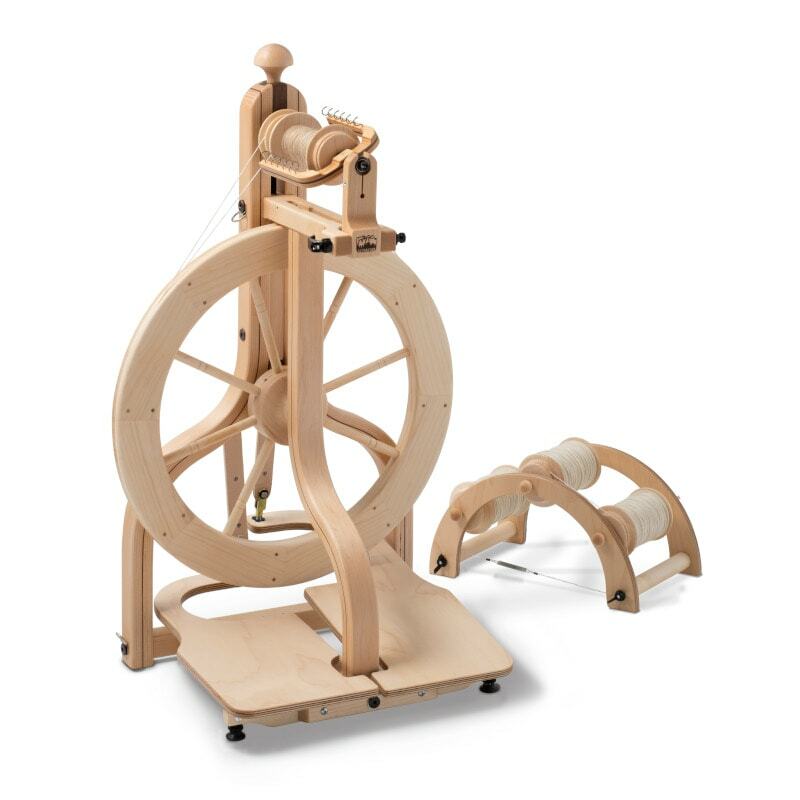 The Schacht-Reeves wheel is available in 24″ and 30″ models, as a double- or single-treadle wheel, in ash or cherry. Order your wheel with flyer on the left or right. Each wheel comes with 3 bobbins, 2 whorls, a Lazy Kate, and threading hook. See the Specs tab for spinning ratios. Bobbins: The Schacht-Reeves flyer shaft is 5/16″ in diameter versus the original Reeves 1/4″ diameter. This means that the current Schacht bobbins can’t be used on Reeves-made wheels. 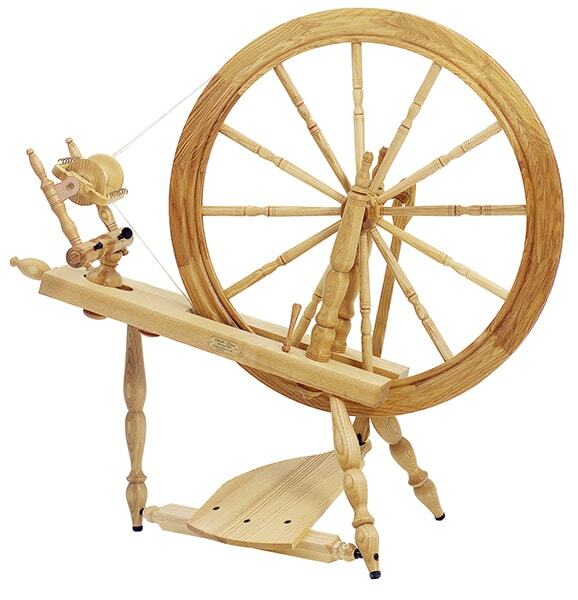 Replacement wooden bobbins for older Reeves spinning wheels can be ordered from Hill Creek Fiber Studio, (800) 874-9328. Dear Tabby – How Much Yarn Do I Have? Fish are Jumpin’ and the Cotton is High….